Map maker : PEETERS, J.. Size : 6.0 x 7.2 inches. / 15.2 x 18.3 cm. 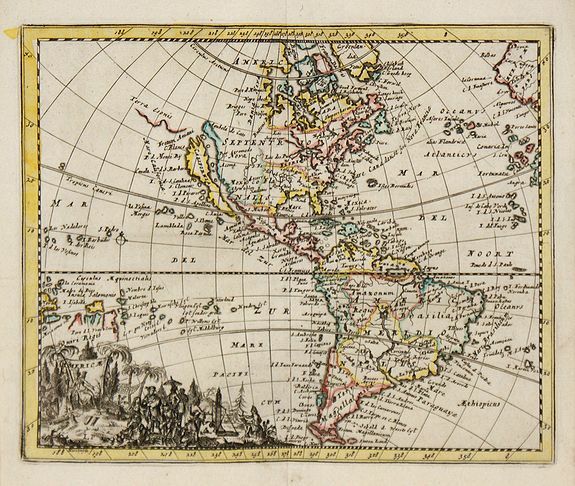 Description :Prepared by Francisco Giustruiani and Francisco Don Aefferden (1653-1709), who was a Belgian cartographer active in Antwerp. Engraved by Jacques Peeters. From El Atlas Abbreviado Amberes. California as an island, with indented north coast and place names.